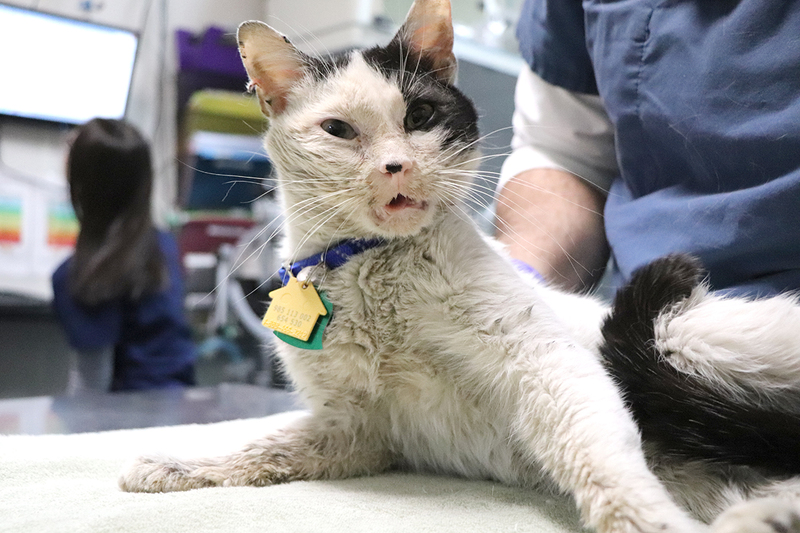 He was brought to the Animal Care Centers (ACC) where veterinarians examined him, as Pacquito purred through the pain. X-rays revealed not one, but two, jaw fractures. The surgical realignment was going to be complicated so they called North Shore Animal League America to ask for assistance. Within minutes, the Rescue Team left to pick up Pacquito and bring him to our Pet Health Centers. Surgery on Pacquito’s first fracture was repaired easily by placing a wire around the jaw. The second fracture was at the back of the jaw near where the bone curves to go up to the skull, and proved to be much more challenging. 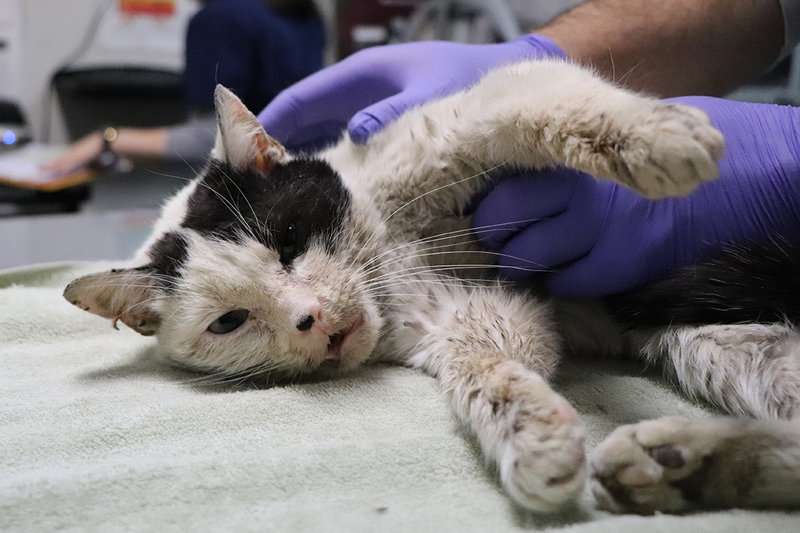 “The second fracture was in pieces and very difficult to re-align and stabilize,” comments Dr. Mark Verdino, Senior Vice President, Chief of Veterinary Staff at Animal League America’s Pet Health Centers, who performed the surgery. “We were able to get a small plate and screws across the fracture and it should heal. 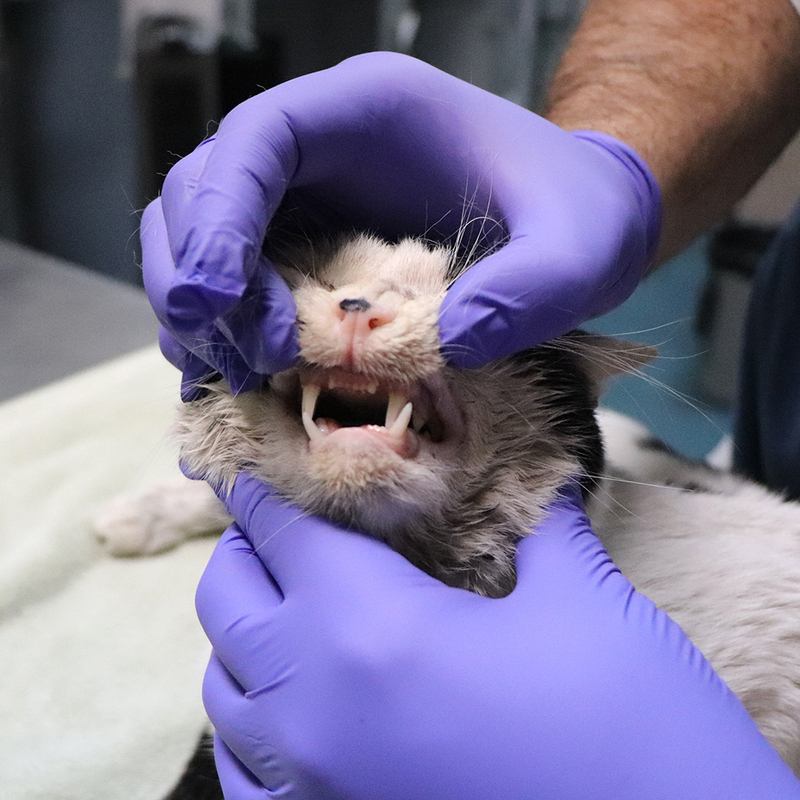 However, even with the jaw now stabilized, it is slightly off kilter.” The veterinarians do not feel that this will affect his overall quality of life. Today, Pacquito is recovering well and has begun eating soft, wet food on his own. He will need many more weeks of recovery before the veterinarians can order another set of x-rays to see how the fractures are healing. Pacquito has a long way to go on his journey. But even though his jaw was broken, his spirit never waned. 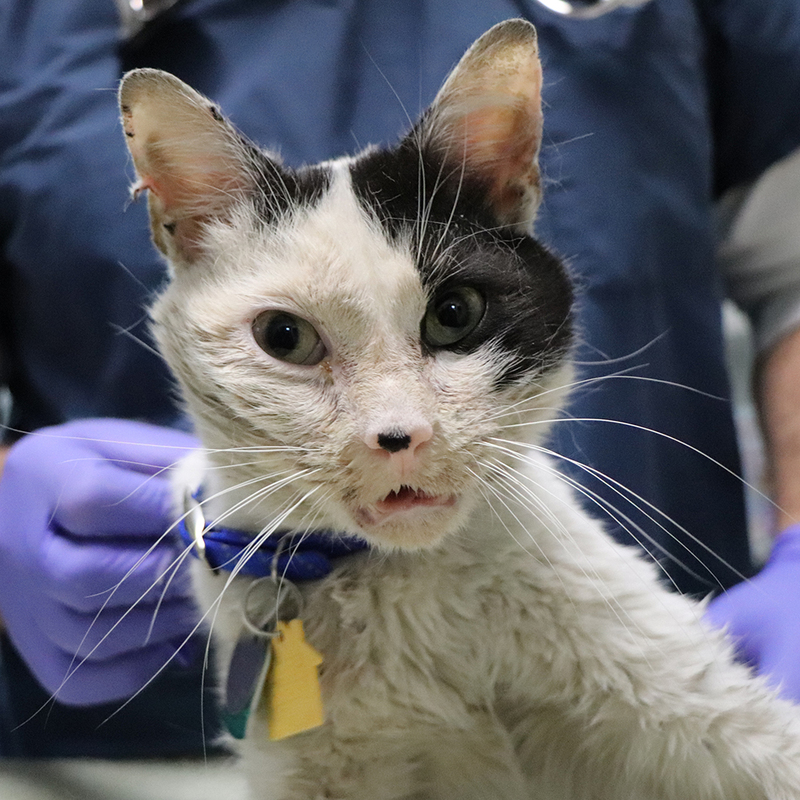 With a donation to our Rescue Fund, your support can make all the difference for animals like Pacquito who have been struggling and living on the edge.